The down payment is arguably the most important piece of the home-buying process. No down payment means no house. So how much of a down payment do you actually need and what are your options? Perhaps the most desirable and straight-forward source of down payment is your own hard-earned savings. Banks and mortgage lenders will want to see a 90 day history of your account statements as verification. The Federal government allows First Time Buyers to withdraw up to $25,000 from their RRSP without having to pay withholding tax as they normally would on an RRSP redemption. The catch… you must re-contribute these funds to your RRSP over 15 years–starting the second year after your withdrawal. For more on the HBP and other first-time buyer benefits, read here. Savvy Tip: Some strategic first time buyers will invest their “Ol’ Fashioned Savings” into their RRSP account in the year(s) leading up to their purchase. This generates bigger tax refunds which they add to their RRSP, helping accelerate their down payment. They then redeem their original contributions plus refund money using the Home Buyer’s Plan. I recommend speaking with a financial advisor when trying strategies like these. A cash gift from an immediate family member can be used for your down payment. Generally, the lender will ask for a gift letter confirming the giftor’s relation to you and that the gift is non-repayable. You will also need to provide a bank statement showing that the funds have been deposited to your account. Though the default insurers (see above) allow it, many lenders frown upon it. That said, if the rest of your mortgage application looks good (credit history, income, etc) and you just haven’t been able to save a down payment yet, a borrowed down payment may work for you. If you go this route, the lender will need to consider the monthly payments of that loan or line of credit on your mortgage application. If you already own a home with lots of equity, you can choose to secure a line of credit against it and borrow the funds to purchase another property–perhaps a cottage or rental. Using a HELOC is also a “borrowed” down payment; however, since it is secured against your home it is viewed more favourably by lenders. A down payment does not have to come from one source. Make your mortgage agent’s day and mix it up! 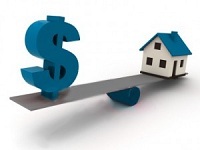 It’s very important to remember there are other costs to buying a home. 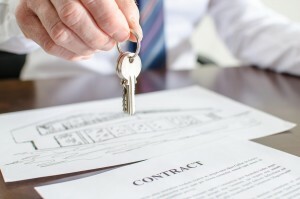 An appraisal, home inspection, land transfer tax, and legal fees are all things to consider. To ensure you have enough money to cover these costs, most mortgage lenders will require you to provide evidence of an extra 1.5%. For example, if you plan to put 5% down, make sure you actually have 6.5% available. Now that you know how much you have to put down and the different ways you can achieve your down payment, enjoy the excitement that is the home-buying experience! This post was written by Patrick Briscoe. Patrick is a Mortgage Agent and Financial Advisor serving clients in London and the surrounding area. Feel free to contact him here. The recommendations and opinions expressed are those of Patrick Briscoe and do not necessarily reflect those of Equity Associates Inc. or Real Mortgage Associates Inc., and are not specifically endorsed by Better Financial or Equity Associates Inc or Real Mortgage Associates Inc. This article is not intended to provide individual financial, legal, tax or investment advice bur rather is to be used for information purposes only. Particular investment or trading strategies should be evaluated relative to each individual’s objectives. Better Financial teamed up with London’s 98.1 Free FM to provide listeners with daily financial tips that will help them save money and achieve their financial goals sooner. All of our Free FM tips are posted below. You can listen to the tips or get more information on each tip below. Keep checking back as more tips are released. For further information, or if you have any questions, please feel free to contact us and one of our professionals will be happy to help! Find out how you can save money when buying your first home. Save thousands in interest and monthly payments by turning multiple high-interest debts into one low-interest payment. Find out how you can access your “locked-in” pension from a previous employer. 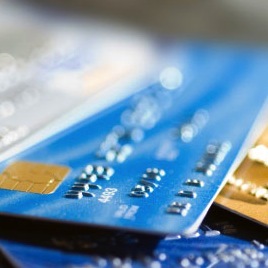 Find out how you can get a line of credit at a low interest rate. 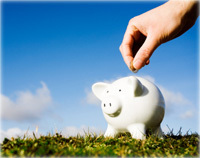 Find out how to get the most out of a TFSA. 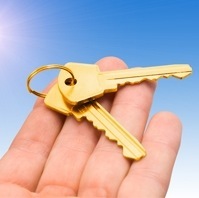 The Government of Canada offers two major incentives for first time home buyers. The Home Buyers’ Plan (HBP) and the First-Time Home Buyers’ Tax Credit (HBTC) can help you save money when buying your first home. Let’s find out a little bit about each of these incentives and how they can help. If you are buying a home with a spouse, they may also withdraw up to $25,000. The money being withdrawn must have been in the RRSP account for at least 90 days. You have up to 15 years, starting the second year after withdrawal, to repay the RRSP. 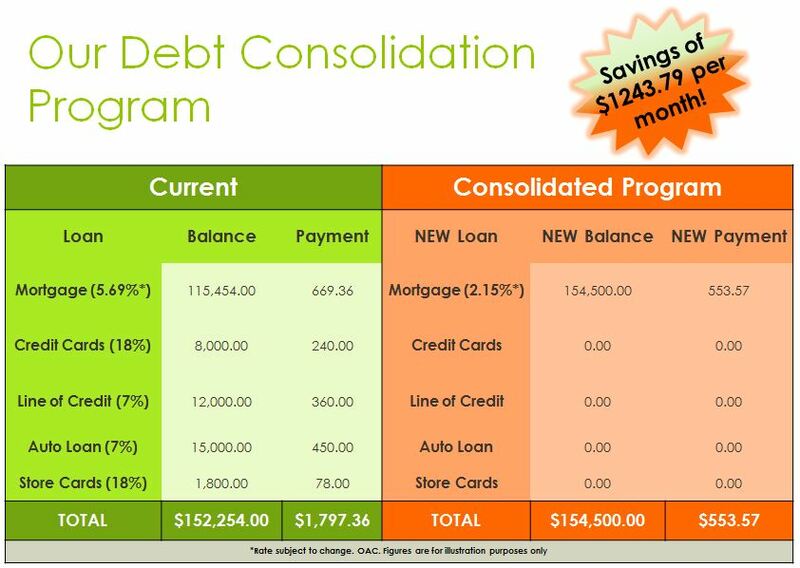 Your yearly repayment will be 1/15th of the amount you withdrew. If you do not contribute to your RRSPs for one or more of these years, the amount is added to your income at tax time. The HBP is one of the only ways you can take money out of your RRSPs tax-free. It is a great way for people with RRSPs to put a downpayment on a new home. But what if you don’t have an RRSP? The HBP can still benefit you! Many people planning to buy their first home open up an RRSP account to start saving for their downpayment. By putting their savings into an RRSP account, they receive a credit/refund at tax time. This can either be added to their savings or used to help pay for other expenses. For more information see the Canada Revenue Agency’s Home Buyers’ Plan webpage. This incentive, part of Canada’s Economic Action Plan, gives first time home buyers a $5000 tax credit for the year in which they buy their first home. This credit can be shared or split with a spouse but cannot exceed $5000 total. This tax credit is applied to your income tax return, which means you can receive up to $750 worth of tax relief from the government. Like the HBP, to qualify for this incentive, the home you purchased must be used as your principal residence. Simply mention to your tax preparer that you bought a qualifying home during the year and they can help ensure you receive your credit. The Home Buyers’ Plan and First Time Home Buyers’ Tax Credit are great incentives offered to first time buyers by the Canadian Government. If you are interested in finding our more, please feel free to Contact Us and we will be happy to help. At Better Financial, we help you get the most out of your hard-earned money. Our range of services mean that we can set you up with a financial plan that is fit and efficient for your situation. Watch our introductory video to find out how this harmonization can help.